Malayali House reality show is coming soon in Surya TV. Anchored by actress Revathi, this reality show will have 16 celebrities who are not familiar with each other live in a house. This programme with be similar to Big Brother and Big Boss show. 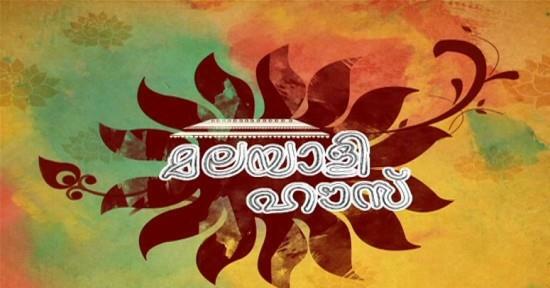 To be telecast from the first week of May, Malayali House will be aired 5 days in a week. Read more to know about Malayali House reality show. After pumping up reality shows based on music, project managers of various malayalam channels are scratching their heads to bring innovative ideas in their programmes. With comedy show and reality talks ruling the channels in Kerala, there is space for novel thoughts too. As Ningalkkum Aakam Kodeshwaran aired in Asianet is getting much popular, Surya TV has taken a step forward to attract the viewers to its side. Titled 'Malayali House', this reality show which is similar to Big Brother and Big Boss shows is anchored by actress Revathy. The concept of the show is as like the Big Boss show which has already covered 6 seasons. 16 choosen celebrities representing Politics, Cinema, Music and Dance will stay at a house. As per the rules, they will not have any connection with the outer world and mobile phones, Internet, News Paper and Television are not allowed inside. Their moments will be captured live on camera. Director and actress Revathi, who was much impressed with the theme of the reality show is shouldering the project. The celebrities will have to stay together in a house set at Hyderabad. During the time, they have to cook food, clean house and even wash their clothes. According to the rules, those who are not able to adjust with the life will be eliminated. Viewers would be able to watch each moment made by the celebrities. The elimination will happen once in a week. After eliminating one by one, the person who could survive till the end will be declared as the winner. The shoots would be examined by the creative directors Arjun and Joy. Interesting incidents will reach the audience. To be telecast from the first week of May, this one hour duration programme will be telecast five days in a week. So get ready to enjoy another visual treat from Surya TV.